The first commercial version of Pacoship has now been released, and we have started to receive comments and suggestions for further development of Pacoship as a tool for better financial analysis and reporting of ship investments. • Develop a more elegant design of the user interface. • Add reporting ability to add each single ship cash flow to create a company or fleet cash flow. • Add ability to use other currencies than USD. Work on these improvements has started. We are also preparing some free webinars to help you make good use of the many features that Pacoship already offers. Betatesting of Pacoship has now been completed and the commercial version of Pacoship is now available for download. A big thank you to all of you who helped by testing the very first edition of the software. New features will be added to Pacoship as we continue to develop this software based on feedback from users. Do not hesitate to post your comments or suggestions in the Forum section of the www.pacomarine.com website. Financial modelling of ship investments can quantify downside risk and upside potential before a decision to invest is made, and also be used as a tool to monitor risks and performance during the investment period. A good financial model is also an excellent tool for communicating opportunities or potential problems to management, lenders and investors. This allows for opportunities or potential problems to be identified early and plans for alternative actions to be prepared in advance. 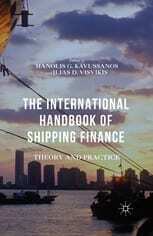 Meaningful financial analysis and modelling of ship investments can, therefore, contribute to better management of risks and hence better risk-adjusted returns. • What is the financing structure that maximises the Net Present Value (NPV) of equity invested? • What is the forecasted cash impact of financing alternatives, chartering policies and market developments? 1. Key input parameters are clearly identified. 2. The model uses formulas to automatically adjust for changes in input parameters. 3. It has a user-friendly, interactive interface, and clearly separates input and output cells (one common practice is to colour code input cells ). 4. The model is dynamic, robust, cover multi-periods and produces all the important financial output metrics including NPV and Internal Rate of Return (IRR).